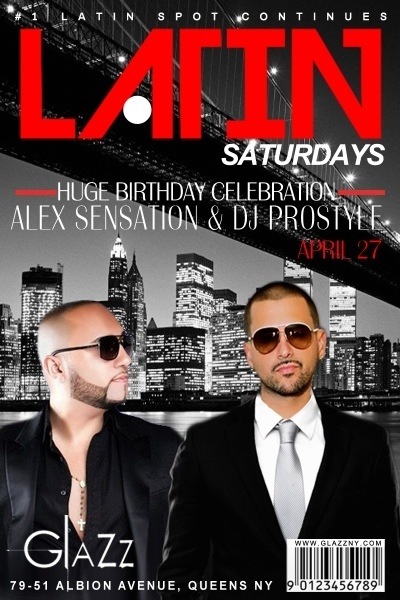 DJ Alex Sensation and Dj Prostyle Birthday Bash – TEAM ENTREPRENEURS ENT. DJ ALEX SENSATION DJ PROSTYLE CELEBRATING THERE BIRTHDAYS AT THE 5 MILLION DOLLAR CLUB GLAZZ GLAZZ GLAZZ … CAN YOU SAY MOVIEEEEEE!!!!! It’s going to be a crazy crazy crazy night tonight !!!!! So get on ” Team Entrepreneurs ” guest list and get there early !!!!! AGAIN TO MY PEOPLE’S !!! PLEASE GET THERE EARLY !!! AND DON’T FORGET TO SAY “TEAM ENTREPRENEURS GUEST LIST” at the register …….. Lets Go NY! !